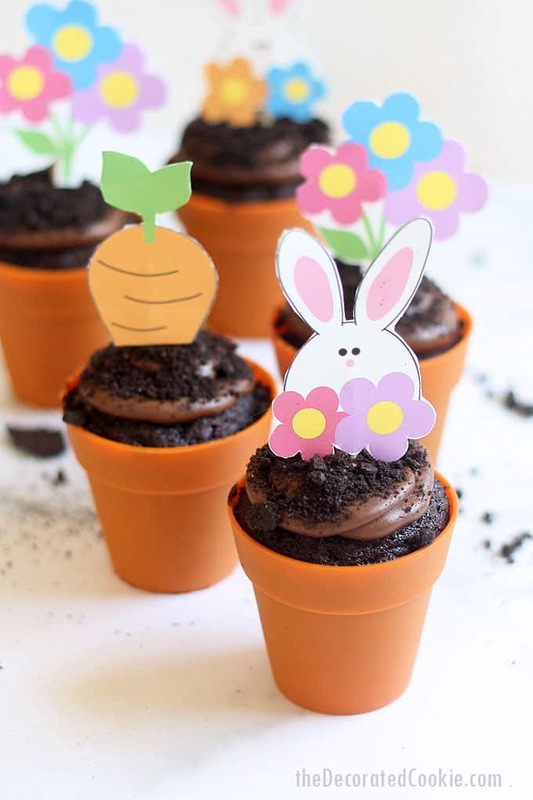 These cute flower pot Easter cupcakes with free Easter printables are so easy to make, and the one-bowl chocolate cupcake recipe is delicious. 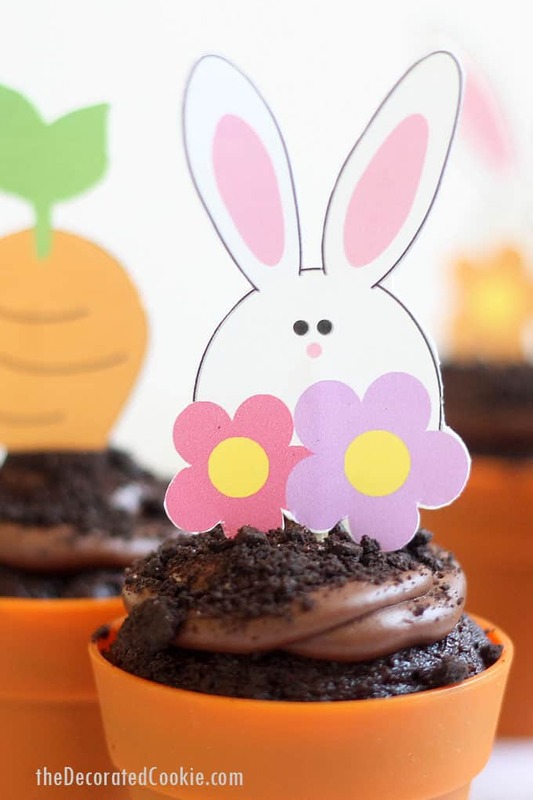 Let’s tally up everything awesome about these chocolate Easter cupcakes. The homemade, from-scratch chocolate cupcakes are crazy delicious (my new go-to recipe), perfectly moist, and made in one bowl. 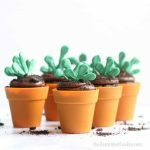 The silicone flower pot cupcake holders are adorable. 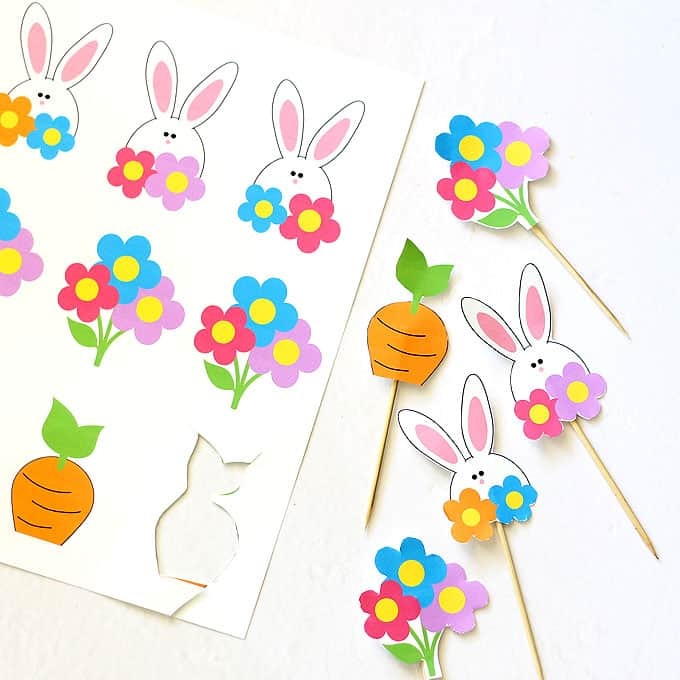 And the free Easter printables make these a cinch to pull together, even last minute or with the kids’ help. 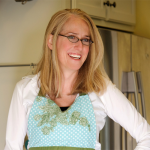 Scroll to the end for a how-to video and recipes for chocolate cupcakes and chocolate frosting. Find the baking cups, decorating bag, tip, and paper at the craft store. Find the chocolate wafers and skewers at the supermarket. The chocolate wafers link is to show you what brand I prefer, but they will be much cheaper at the supermarket. 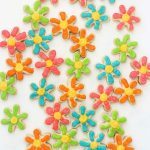 These silicone flower pots are 2 1/4 inches x 2 1/2 inches. 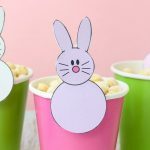 Print out this EASTER PRINTABLE on white letter-size cardstock paper or a heavier weight paper. Cut out each image. Tape a 4-inch skewer to the back. 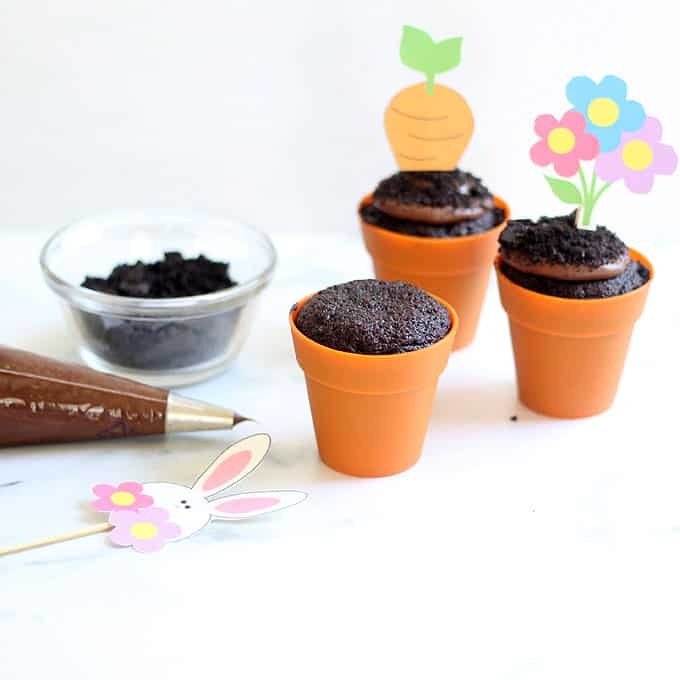 Prepare the chocolate cupcakes in the flower pot baking cups and let cool. 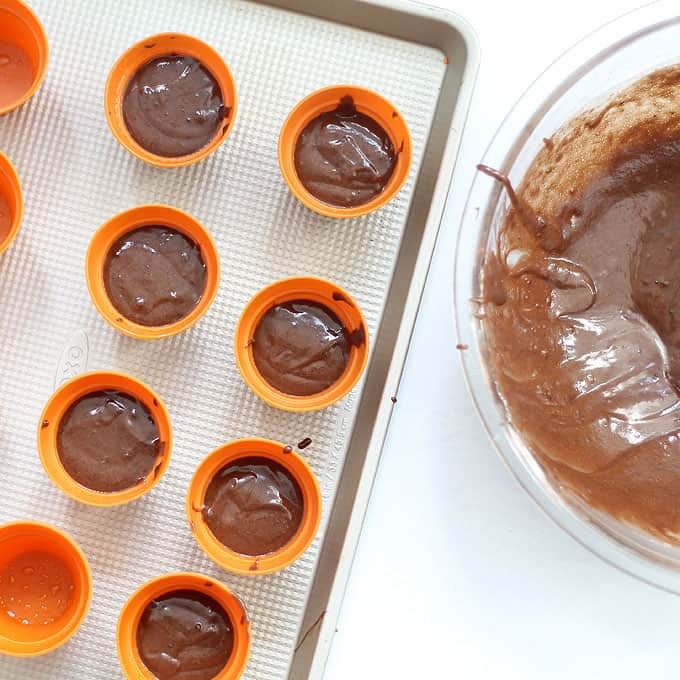 Prepare the chocolate frosting. You may either spread the frosting with a spatula or pipe it on the cupcakes. 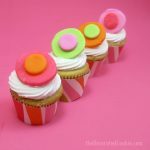 To pipe it on the cupcakes, prepare a disposable decorating bag with size 12 tip, fill with frosting, and close tightly with a rubber band. 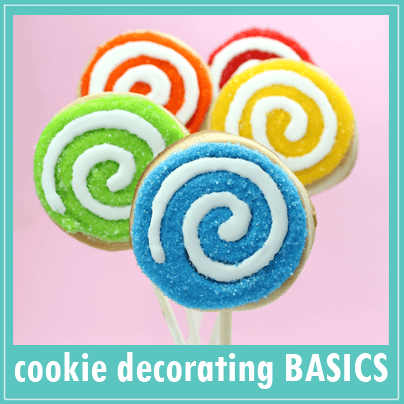 Place a few chocolate wafer cookies in a ziploc bag and crush with a rolling pin or mallet. Pipe the chocolate in a spiral on the cupcake (or spread with frosting). 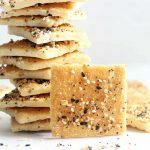 Top immediately with the crushed cookies. 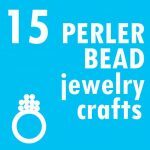 Add a printable on the skewer. 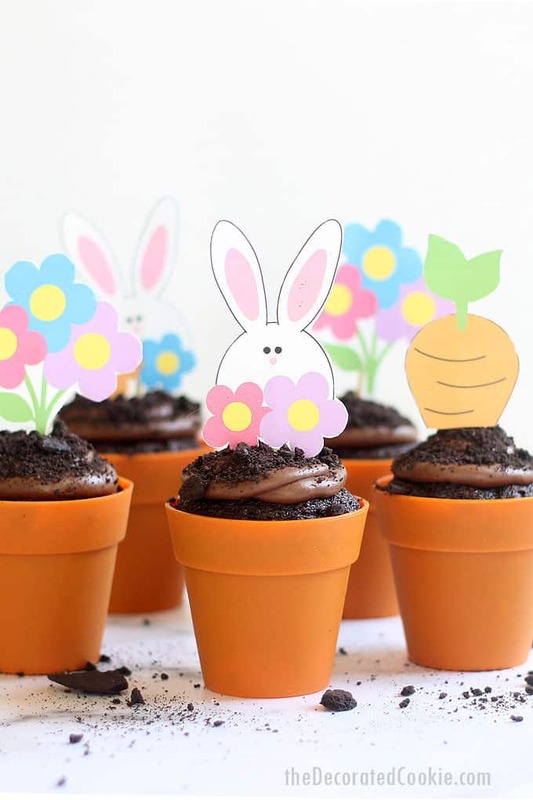 Preheat oven to 350 degrees F. Line a cupcake tin with 12 baking cups (or, to make flower pot Easter cupcakes, spray 10 silicone baking cups with non-stick spray and arrange on a baking tray). 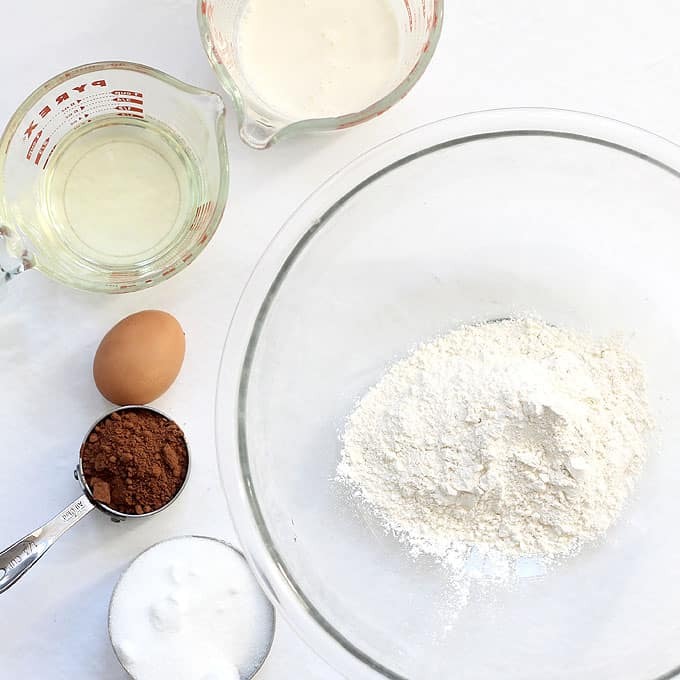 In a large bowl, briefly whisk together the sugar, flour, cocoa powder, baking powder, baking soda, and salt. Add the oil, heavy cream, egg and vanilla extract and whisk until well blended. Add the 1/2 cup of hot tap water and stir until well blended. 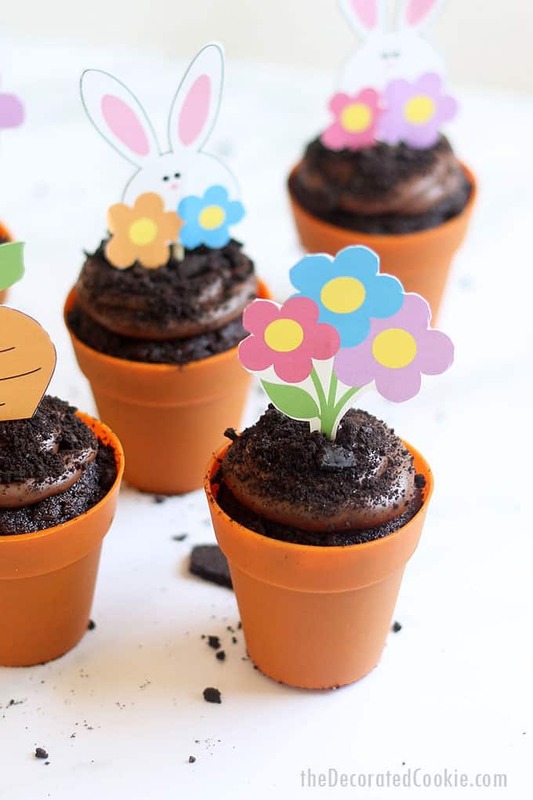 Bake until an inserted toothpick comes out clean and the top springs back when pressed, about 22 to 25 minutes (the flower pot cupcakes may take a few minutes longer). 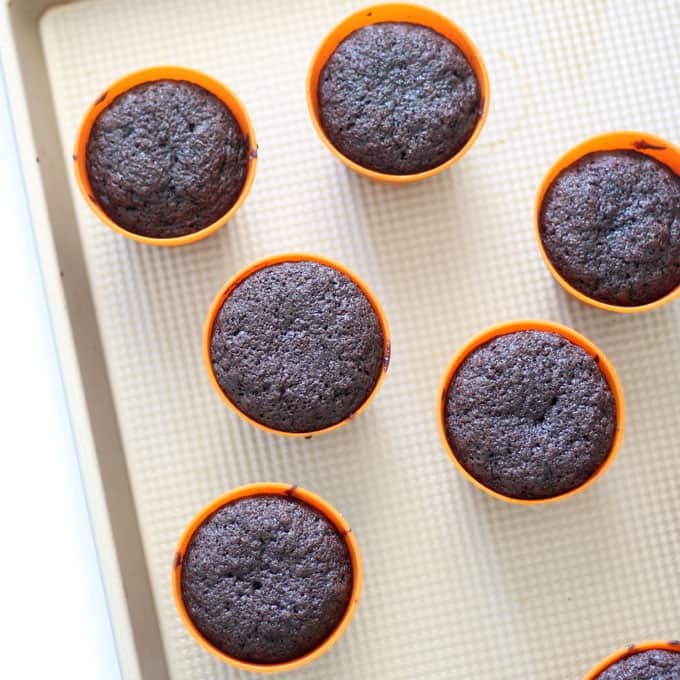 Let cool before frosting. Using a hand mixer or standing mixer, blend together the butter with about half of the confectioner’s sugar. Add two tablespoons of milk and blend again. Blend in the remaining ingredients and mix very well. Add additional milk by the tablespoonful until desired consistency is reached. Decorate the chocolate cupcakes. 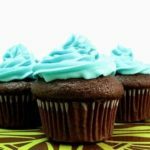 Delicious, moist one-bowl chocolate cupcakes with chocolate buttercream frosting. Using a hand mixer or standing mixer, blend together the butter with about half of the confectioner's sugar. Add two tablespoons of milk and blend again. Blend in the remaining ingredients and mix very well. Add additional milk by the tablespoonful until desired consistency is reached. Decorate the chocolate cupcakes. 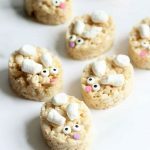 These are completely adorable!! 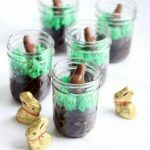 I’m almost convinced to buy the silicone flower pots and trade Passover for Easter. Bravo for another incredibly creative sweet. 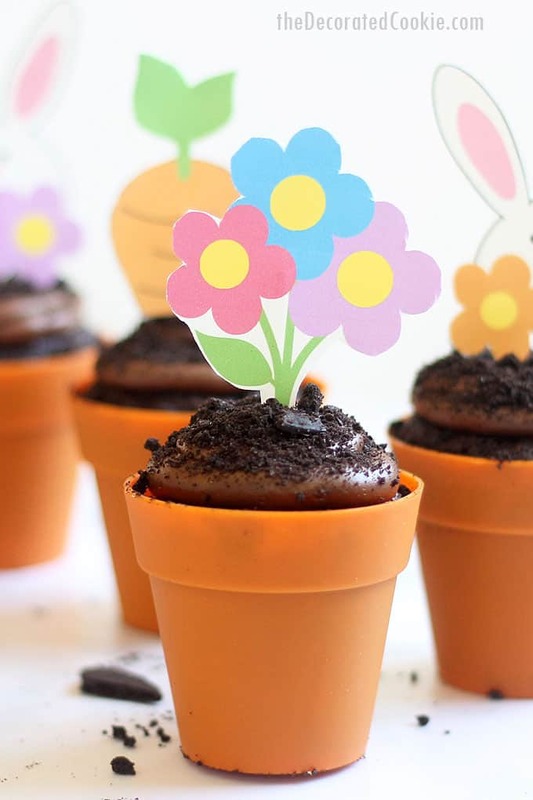 These would also be cute with green grass piped on the top of the cupcakes.